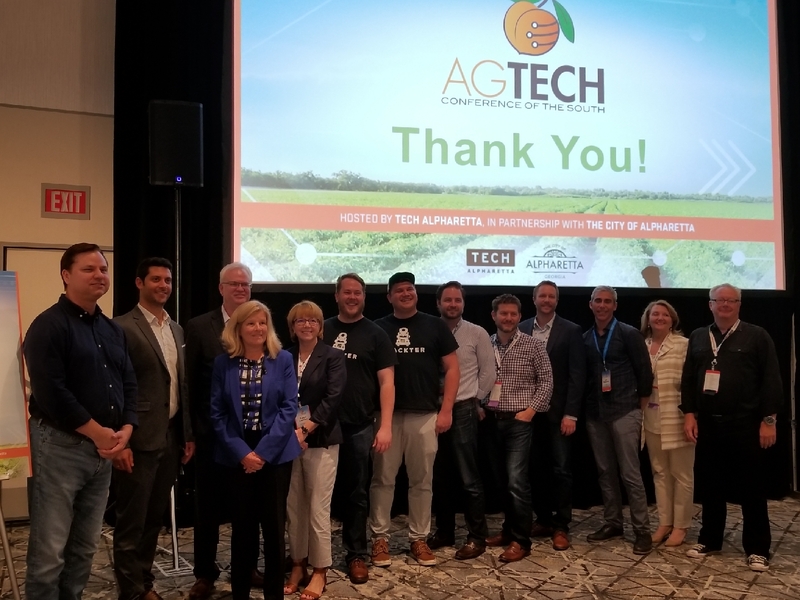 MyAgData CEO and Co-Founder Deb Casurella participated alongside three other agtech company finalists in a startup pitch competition this week at the inaugural AgTech Conference of the South in Alpharetta, Georgia. Technology Association of Georgia sponsored the first-ever competition. During the 6-minute pitch, Casurella explained how MyAgData makes acreage reporting easy for producers and crop insurance agents, and how USDA Secretary Sonny Perdue himself recognizes the “digital divide” in the agriculture industry. Many farmers have invested in technology that captures ag data, yet they still need to complete a paper form and take it to their FSA office. The pitch also explained how our app eliminates the need for producers to go to a county FSA office and mark up a map with a red pen and submit it for manual entry. Instead, we use the data producers collect during their normal farming operations, format it to meet the reporting requirements of crop insurance companies, match it to the Common Land Units required for USDA acreage and production reporting and produces reports by land or geography. MyAgData seamlessly and securely integrates with all FMIS systems, controller files, crop insurance companies and now the USDA. Without MyAgData, a farmer exports his or her data from an FMIS and has it converted (usually by a crop insurance agent or ag service provider) into a format that “talks” with the various systems used by crop insurers and the FSA. Time-consuming, to say the least. Still not convinced that MyAgData will streamline your acreage reporting process? Watch our 6-minute competition pitch and you’ll change your mind.